You know when life kind of craps all over you? That's me right now. Don't get me wrong, it could be a whole lot worse but I'm just struggs to func right now. Thankfully nail polish is always there for me. 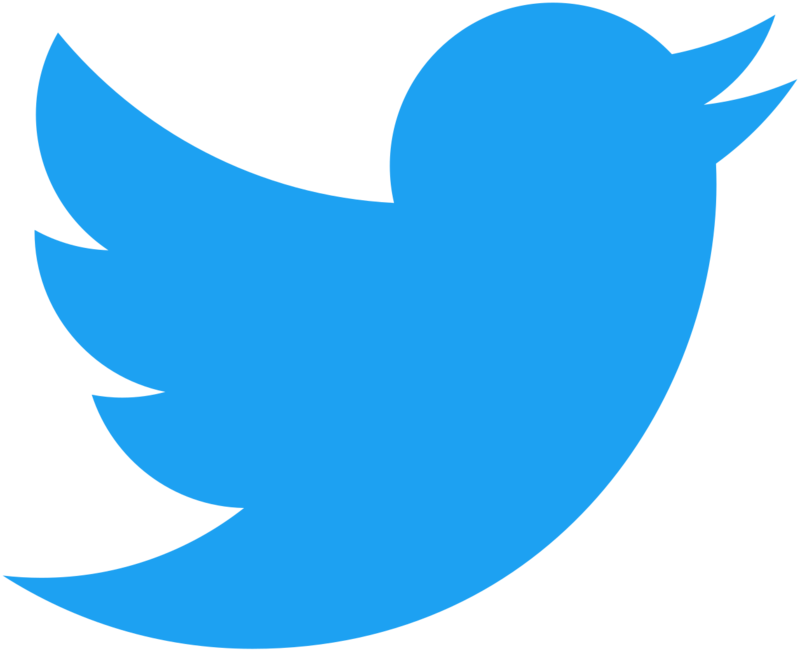 It never lets me down. And I can't help but smile about the Girly Bits Spring 2019 Collection which is absolutely knock-your-socks-off gorgeous. The Spring 2019 Collection consists of six shimmery and holo-y polishes; half lay on the warmer side of the colour spectrum and the other on the cooler side. This collection debuted at Polish Con on April 6th, and will launch on the Girly Bits site April 19th at 12pm EST. All polishes in the collection are 5 free, cruelty free, and vegan. Raise your hand if you love pastels, crellies and/or flakies. I see you! And if you happen to love all three of these things then I have the collection for you. 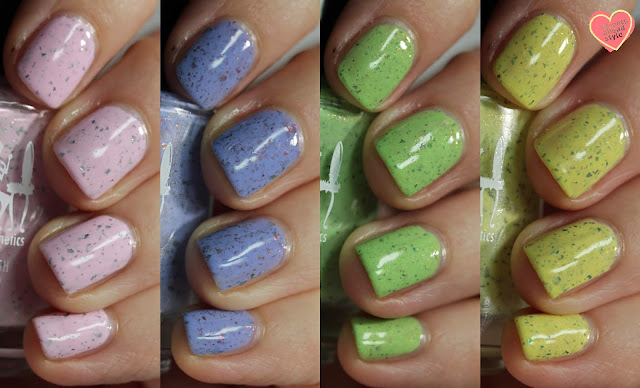 The Girly Bits Springles Collection consists of four pastel crellies, with dark flecks and just a hint of shimmer. 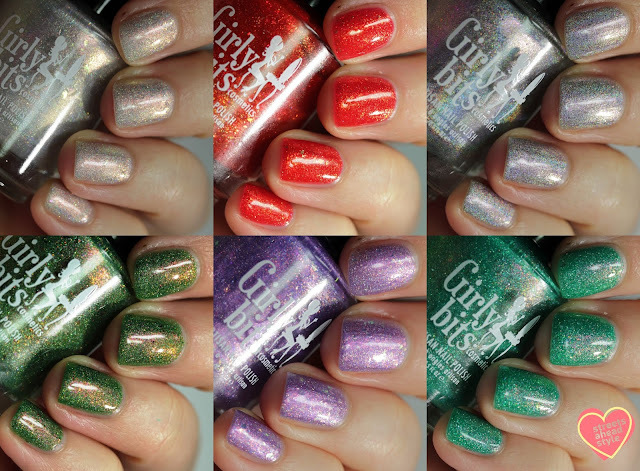 This collection debuted at Polish Con on April 6th, and will launch on the Girly Bits site on April 12th at 12pm EST. All polishes are 5 free, cruelty free, and vegan. The names on these polishes are perfection. 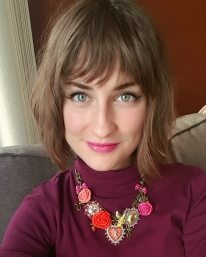 Nothing beats a lively green for Spring, am I right? It's perfectly fitting that Tanya from My Indie Polish created a beautiful green for us as part of her Shameless series for Hella Handmade Creations. 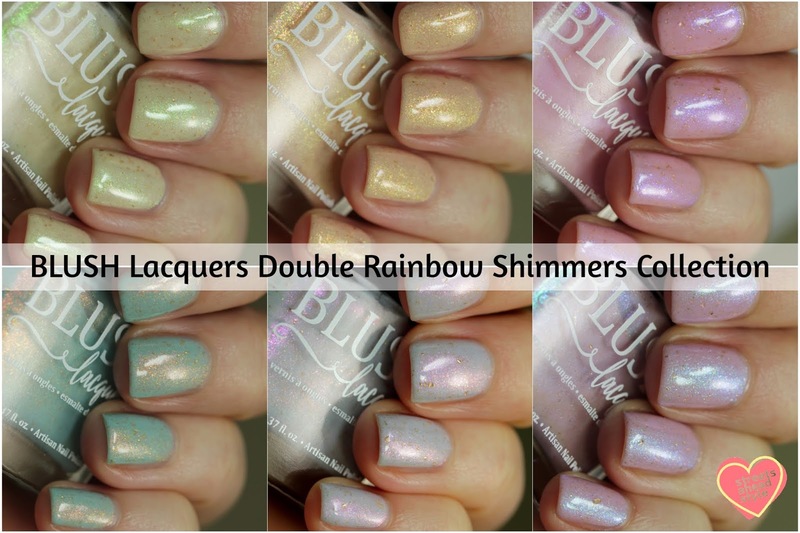 Everything about the forthcoming BLUSH Lacquers Double Rainbow Shimmers Collection makes me happy - from the name to the actual polishes. I have a feeling these might make you happy, too! The Double Rainbow Shimmers is a collection of six pastel shades inspired by the elusive double rainbow. Each shade has a vibrant, contrasting shimmer with a sprinkling of gold flakes to create a dreamy, ethereal look reminiscent of rainbows across a stormy sky. Polishes are meant to be opaque in 2-3 coats and pair beautifully with the BLUSH Lacquers Candy Heart Cremes (which I reviewed here).